Buy now, and benefit all year long! Perhaps unlike some of the gifts you received over the festive period, these products will keep working for you all year long. 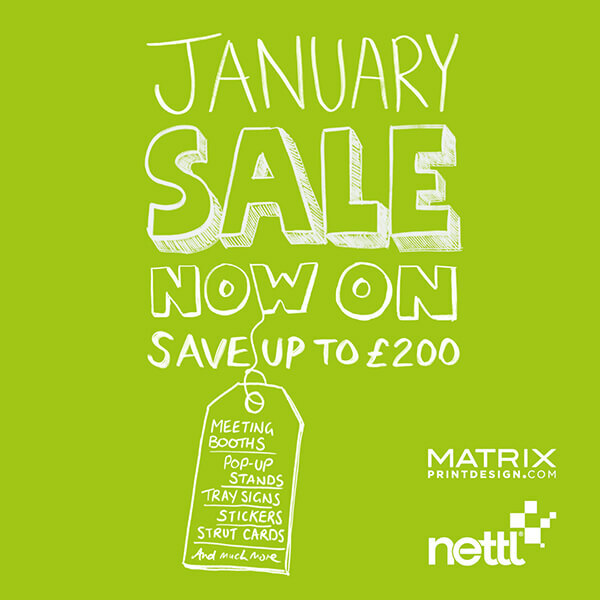 With fabric meeting booths, NCR sets, branded stickers and signage all on offer this month, you’ll certainly get your money’s worth.